A bad boy - every band has one. There's that one member brooding in the background of all the videos, and that one member that makes your breath catch whenever he stares straight at you. (Well, he's actually looking at the camera, but you get my drift!) He may or may not be covered in tattoos, but one thing is for sure - he is shrouded in mystery, and every single detail you find about him, you devour. He doesn't even have to be your favorite, you just want to know more about him! After reading Mia and the Bad Boy's blurb, I knew deep in my heart (whoops who's getting a wee bit dramatic here) that I had to have this book... because I have to find out just who on earth Ryder is. I just have to know who he is beneath that bad boy persona, and I really wanted to see how his story would unfold. It's always interesting to get a behind the scenes look at how famous people act without the cameras shoved in front of their faces, and just who are the people responsible for their very fame. And other than that.. a fake relationship. A FAKE RELATIONSHIP. MY FAVORITE TROPE OF ALL TIME. I liked how the romance between Mia and Ryder player out. It was properly built up but not too drawn out, and the serious conversations and the flirty banter balanced each other out. The dual POVs helped flesh out the development of both Mia and Ryder, as well as how their relationship progressed. We learn so much more about their dreams about the future, and at the same time, we learn about their fears that have stemmed from expectations. Both Mia and Ryder are relateable characters that I had no problem connecting to. 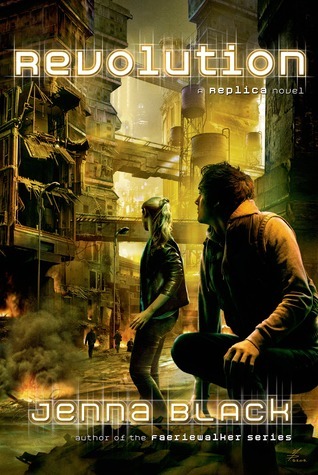 While Mia and the Bad Boy works as a stand alone, I think it would be best that you read the first book in the series. I hadn't had the chance to do so, and as a result, I felt that I was missing out on a few things here and there. There were times wherein something that happened in the first book was touched upon, and while I did understand the general gist of what occurred, I still think that nothing beats actually reading something as it actually transpires. Nothing that vital, let me hasten to add, but ultimately, I feel like reading the previous book would have had me enjoy Mia and the Bad Boy more. 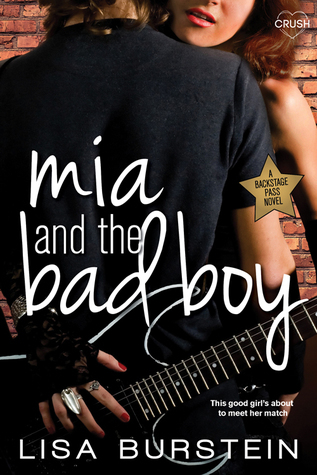 All in all, If you're looking for a cute, fun read with a little drama (AND ONE HOT ROCK STAR), Mia and the Bad Boy is the book for you. It's the perfect book to read after that difficult exam, or even after that long, hard day at work. I had no problem breezing throught it in one sitting, and I can't wait for the rest of this addicting series! Great review!!! :) This sounds like a really cute and fun read, which sometimes is just the perfect read to relax with. I'm not in a rush to read it, but if I ever saw it on sale then I might be tempted to get it.